Linux or Windows Hosting? Which Server Software Do I Choose? You are here: Home / Website Needs / Linux or Windows Hosting? Which Server Software Do I Choose? What do you drive? Airline pilots know the question to be a reference to the type of aircraft they fly. 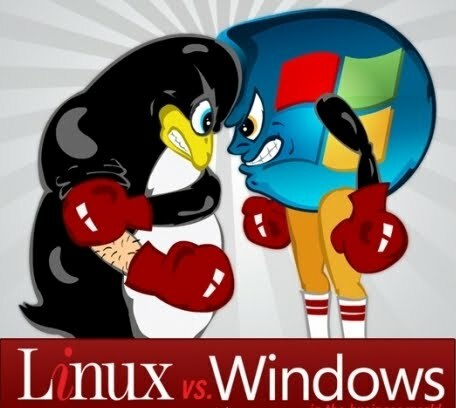 For Web developers it might refer to the hosting platform they operate—Linux or Windows Server? Each of these hosting platforms has its own pros and cons. In some cases, the type of hosting platform you choose limits the type of programs and software you can use on your website. If your website is already built, the platform is already set up. If the site is in the design stage, you have options provided you haven’t already begun to code. For small websites who pay for shared hosting, the hosting company provides an interface that you use to manage the website. For cloud servers, the key differences between a Windows and Linux hosting environment is the software used to manage the server and its resources. Windows uses Plesk while Linux usually uses cPanel. Both of these applications are standard with cloud servers you manage on your own. You use cloud server management when you want to have your own private server that you can remotely manage, add websites, add databases and manage email accounts on your own. The main difference between shared hosting and private cloud servers is that you have more control over a cloud server, and you can add as many websites to the server as you need to fit your website model. Why choose a Linux host solution? Why choose a Windows Server hosting environment? Even though Linux has most of the enterprise sever market, several large corporations with in-house developers use the Windows and SQL Server hosting solution. Windows integrates with the .NET Framework, so all of your C# and VB.NET applications work with a Windows host. You must check the framework version supported by the Windows host such as 2.0, 3.5 and 4.0. This means you can run even older 2.0 framework code on a Rackspace Windows 2008 server. The server you choose should ultimately fit what you need for your website, and you should select a solution that you are familiar with. Choose the solution that is easier for you to troubleshoot and manage your server–if you can more easily work with cPanel and Apache, you should choose Linux; if you have more experience with Plesk, opt for Windows Server. The best solution is the one you are familiar with and will be able to operate in case of emergencies or will allow you to more quickly publish your website pages. Rackspace Hosting is the service leader in cloud computing providing Fanatical Support® to customers across a portfolio of IT services, including Managed Hosting and Cloud Computing. Derrick Cruise is a professional writer living in the Indianapolis area. He specializes in technology and education articles. In his spare time, he contributes to stand-up comedy routines.